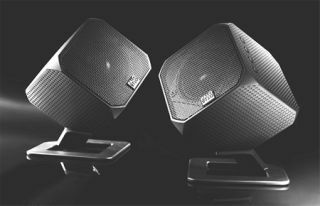 Palo Alto cubik PC speakers come to the UK | What Hi-Fi? Arriving in the UK now are these Palo Alto active desktop speakers, called cubik, available for £180 from Apple stores, Amazon and scan.co.uk. They have digital amplification built in, connect to your computer via USB and are finished in black. The digital audio amplifier circuit and 2.5in metal cone speaker drivers were designed in Denmark by Peerless. At the same time, Palo Alto is also bringing its £50 USB-powered musik speaker system to the UK (above).